Many Americans believe in the existence of angels – in fact, a recent Gallup poll shows that 69% of Americans believe in angels. Seventy-five percent between the ages of 18 – 25 believe that these winged emissaries of God make themselves known to humans. We live in an uncertain world, and in such unstable times, people turn to angels in an attempt to find security, power, control, and meaning in their lives. And why not? By definition, angels are supernatural beings with obvious supernatural powers who mediate between God and mortals. Because of the humanistic, secular environment prevalent in today’s world, a conspiracy of silence exists as far as paranormal phenomenon is concerned. People tend to keep paranormal experiences quiet – afraid of being ridiculed. Many scientists claim that an angel experience has a biological explanation. They think of such experiences as a sort of physiological event, similar to a hallucination, but not as vague as hallucinations. 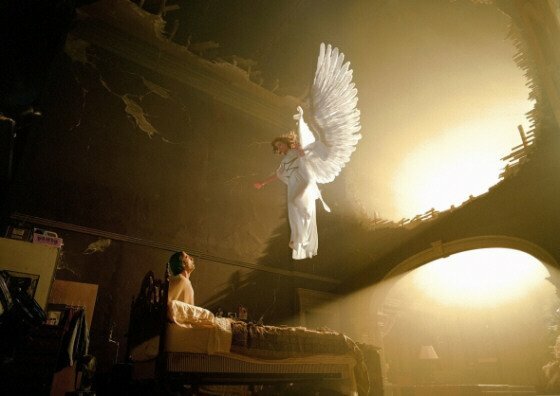 People who claim to have come in contact with angels describe a vivid, often life-changing experience. Since literally millions of people claim to have had angelic experiences, it’s impossible to believe they all are deluded. If people are pathologically hallucinating, there should be individual, chaotically random stories – but the vast majority of angel stories fall into a specific pattern. 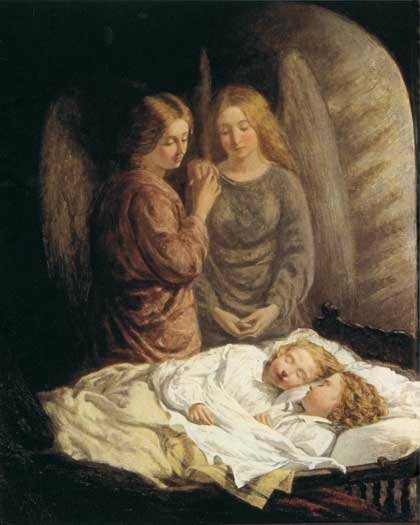 The presence of angels is not limited to specific age groups or to life-threatening situations. When they do make their presence known, angels appear as humans, or sometimes as a light. They can communicate with mortals – as evidenced in the Bible and other holy texts. Many people who survive near-death experiences claim the Angel of Death is usually a loving, benevolent figure. That angel is not always fearsome as we may think. Angels such as the Angel of Death sometime offer glimpses to the other side. The Angel of Death is any angel to whom God delegates the power to take a mortal’s life and guide them to the next phase of their existence. If a person’s time on Earth is not yet complete, angels will appear to encourage that person to hang on to life. Angels will appear to healthy people bringing a premonition of death. 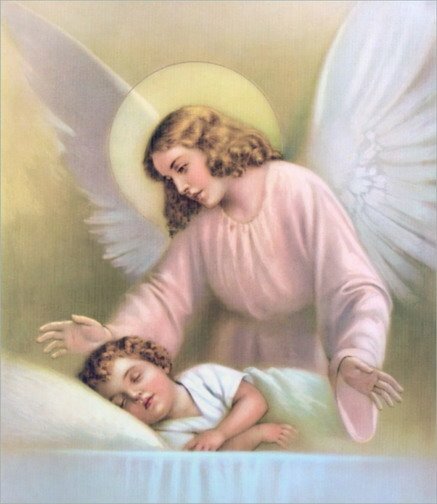 In fact, people have actually experienced an angel who saved their lives – the concept of the Guardian Angel. 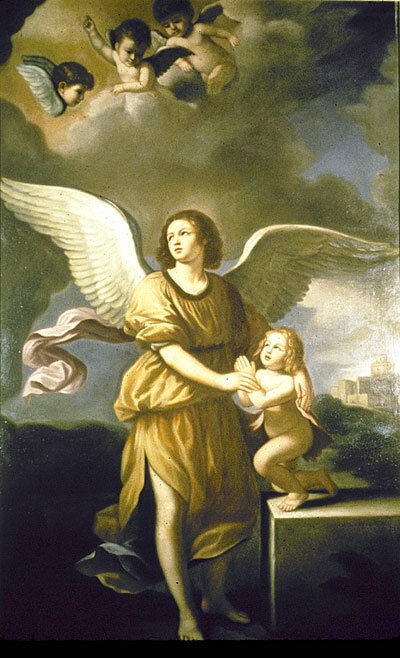 These angels appear to protect the innocent and to keep people from harm. 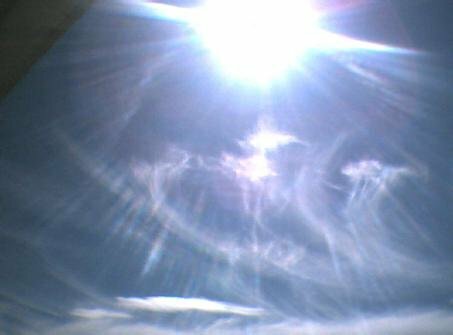 People claim to have had ‘real’ experiences with angels, mostly in a spiritual nature, although case after case documents actual physical intervention by the spiritual beings. Humans realize that the existence of guardian angels is necessary and important to us — humans are creatures in need of spiritual guidance and protection. These supernatural guardians are assigned to each individual to be their guide and to assist and comfort them in times of problems and trouble. Countless books and movies have tackled the topic. 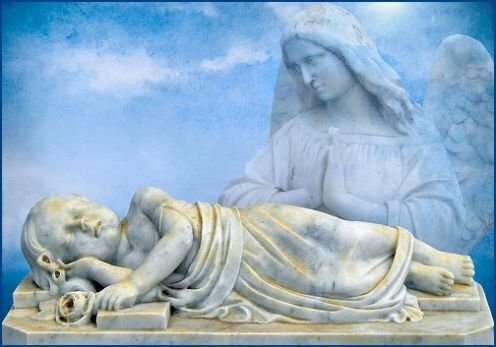 Up to this day, it is still unknown if every person has several angels or if an angel looks after several people. Whatever the truth, and whether you believe in the concept or not, this is still a mysterious and amazing facet of life. We must never mistake our angels for spirit guides. Angels will not to run people’s lives, but instead will do whatever specific task they have been sent to accomplish. Angels cannot show free will in deciding who needs help and how such help should come. Nor should they ever interfere with a human’s free will. People can and do not seek out angels – but if they come, they will come based on God’s will and timing. Angels can instruct mortals, save them under certain circumstances, assist them, guide them, reassure them, and / or warn them. It seems that I am a lost soul right now, and I don’t want to die this way. There are so many more things I want to do. Robert, no soul is lost, always remember the pain humans endure on earth is for a reason. Maybe it sounds cruel that people suffer and feel alone and lost, but everything that happens is part of Gods plan. Earth is a beautiful yet dark place at times. Try asking the archangels, for guidance and help if need be. They are watching and listening, we all love you. I find myself more interested in angels lately. Looking at your site and reading some material made sense to me. You seem to have put some serious research into this matter. I have not had many memorable psychic or supernatural experiences. I have had enough to know that there is another world. But, one day recently, I was walking and praying, when all of a sudden I had the distinct physical awareness of having large wings and the feeling of having them coming out of my torso. I started to spontaneously run forward and felt like I might actually lift off of the ground. I didn’t, and I account for that as my limiting belief system slowing me down, though I tried my level best to overcome it. Well, that got me back on angels, and now to your site. I had a lot of bizaar experiences involving the supernatural. My whole life. Until recently I had no idea why. It was because I had the tendency to make really bad decicions. It caught up with me when I went back to my church. I was under a lot of stress and started praying and asking God for help. One day he answered me. I thought I was hearing voices and having visions. I was exalted and blessed . I believe in God and angels. They taught me to trust God and I would be rewarded in the end. I have waited almost twenty years and am anxiously waiting for it to this day.I do hope for the angels to come through for me. I know they can and will. I just don’t know when. Sometimes you have entertained angels and not have even known that they were angels. Also if God was walking around here on earth you might not have known because he looks just like a normal person like you and me. Even Jesus took on the appearance of a normal person because in the bible it says nothing drew us to his appearance and he was not given a majestic look by God while Jesus was on earth here with us, so if you see a normal looking person it actually might be God or some angel. My son seen a a female woman in the middle of the night. I remembered running into his room to see what was wrong. This was late. He was terrified. He said mom there was a lady in a white gown and she had blonde hair. And she had a lot of bright light all around her and her feet wasn’t touching the floor. My son was 8 at the time. But my sons bedroom didn’t have any windows. And no night light.y son is now 28. Why did she appear to my son ?